Madhya Pradesh Public Service Commission has now released the MPPSC Librarian/ Sports Officer Hall Ticket 2018 on the official website of the board. The applicants can visit the official website which is www.mppsc.nic.in for getting their MPPSC Librarian/ Sports Officer Hall Ticket 2018 from the website. All candidates are informed to download the hall ticket on or before the last date mentioned by the board. MPPSC Librarian/ Sports Officer Call Letter 2018 is released on 6th August 2018 on the official website. A significant number of candidates have applied for the exam. All those candidates will be having the MPPSC Librarian/ Sports Officer Exam 2018 on 18th August 2018. So all the candidates can start their exam preparation to get qualified for the written test. 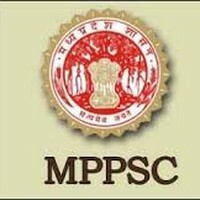 Madhya Pradesh Public Service Commission is recruiting the eligible candidates for the vacant posts of 619 MPPSC Librarian/ Sports Officer posts. The aspirants are informed to carry the MPPSC Librarian/ Sports Officer Admit Card 2018 during the exam time, otherwise, they are not permitted to enter the exam hall.